I thought I would try something new and share with you at the beginning of each month a favorite font that I’m either swooning over or applying to a brand. As a designer and a lover of typeface, I’m constantly sourcing fonts and typefaces for my branding projects. I thought it would be pretty cool to share them with you and also show you how they are applied with other brands and media or with brands I’m working on. I’ll do my best to make them available for you to download or tell you where you might be able to find them. So, let’s dive into my Favorite Font of the Month : December! If you are anything like me, you notice when a publication has rebranded and are using a different typeface. Freight Big Pro—is everywhere now! It is making headlines as it should. It is well suited for magazine and newspaper section heads, large headlines and book. 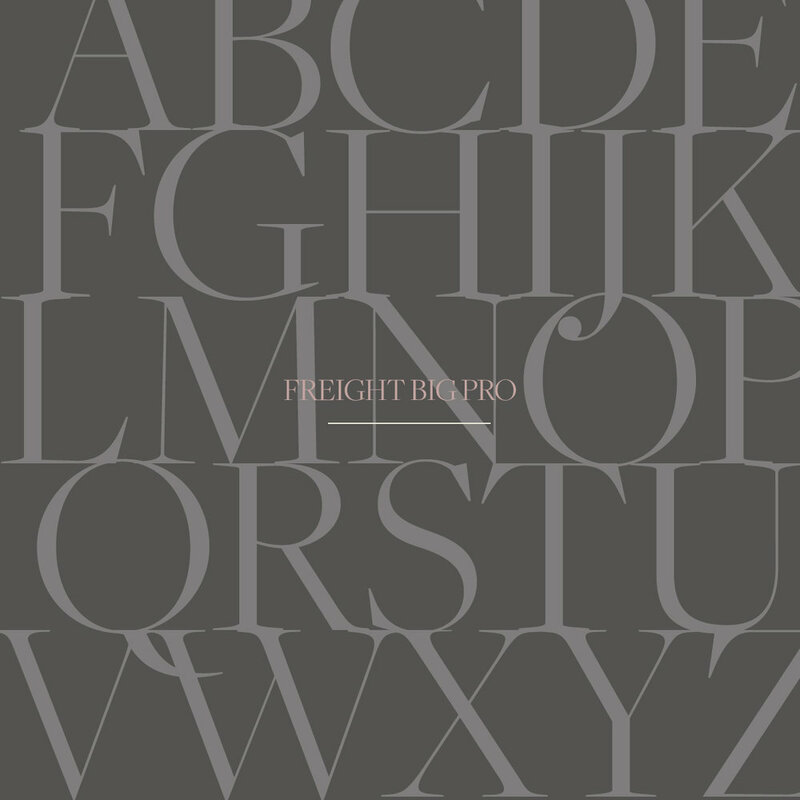 Freight Big Pro is a sans-serif font. It is modern, bold, classic, and simply eye catching. It is one of those straight to the point typeface perfect for text logos and headlines on e-commerce sites. I have yet to find it free to download. You can always download it into your Typekit in Adobe.